Any person who thinks of serving the destitute masses can be blown away by the magnitude of the need. It would take no less of a heaven-size resources to cope with the challeges of the people in need. 1. Board meeting and MBA Commencement ceremony is scheduled in January. 2. Two hostel building to be completed: one in Rajasthan and another in Odisha. 3. 300 men will be trained to teach adult literacy classes. 4. 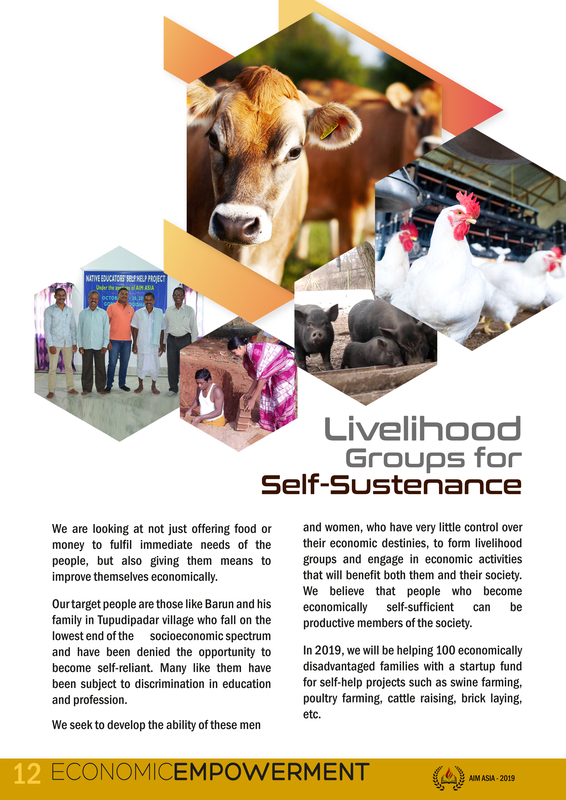 A good size Vocational Training Center will be launched in Hyderabad for the members of leprosy affected families. 5. An addition 40 children to our hostel in Bagidora is sanctioned. 7. A national Youth Event is schedule in May. Thank you for your partnership and help. 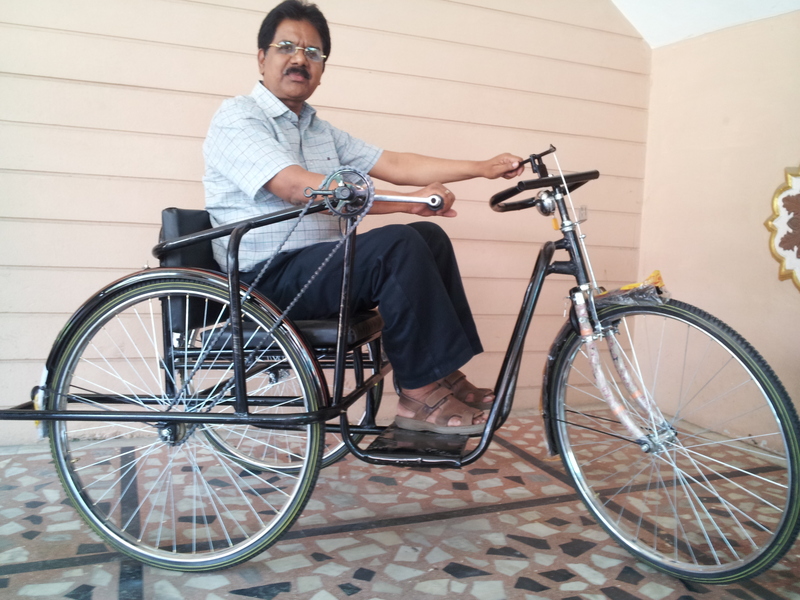 TRIKES DISTRIBUTED TO PHYSICALLY CHALLENGED! 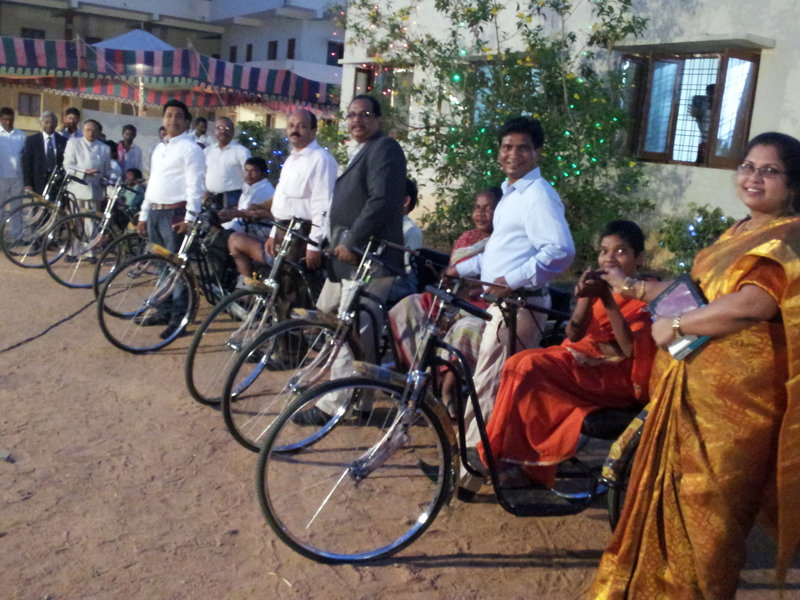 Ten physically challenged received tricycles in a simple ceremony at our Ministry Center in Hyderabad. Poor and handicapped, they have lived all their life struggling to move by themselves or with the help of a dear one. But now, they would be able to ride the trike and even be able to help others. We could see visible gladness on their faces they received the trike from AIM ASIA officials. More trikes are in the making in our Vocational Training School. Please pray for resources to buy accessories. I wanted to ride one and experience the joy firsthand before we gave them out. 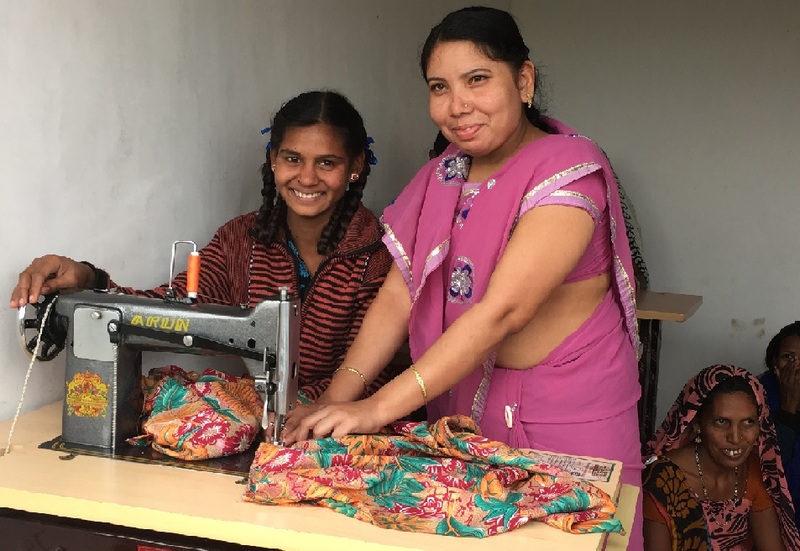 A craft school with new sewing and embroidery machines has begun in Birpara, West Bengal. Thirtyfive girls are learning the trade in different shifts. It is one-year training program after which the trainees will be able to work in a garment shop or start a small business at home. This is not just a trade - it provides a tool to earn their livelihood. We would like to see many more sewing centers opened in slum and village areas.